Our aim is to restore the whole length of the Wey & Arun Canal, which closed to navigation in 1871. "London's Lost Route to the Sea" was a unique waterway, linking the Thames with the English Channel, via the River Wey and the River Arun. The canal runs between Shalford, near Guildford, and Pallingham, near Pulborough. Easily accessible and free to explore, the canal is an ideal destination for walkers, cyclists, boaters, anglers and people looking for a great day out in the fresh air. The canal has something for everyone with spectacular scenery and outstanding wildlife habitat. We benefit the local economy by creating new tourist destinations and spending money with businesses near the canal route. 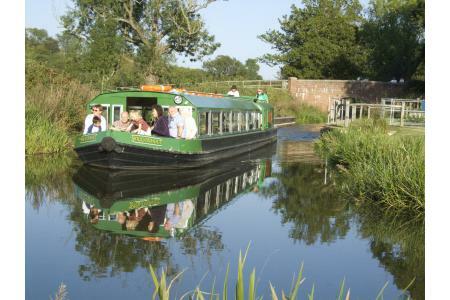 Boat trips run along the restored stretch of canal at Loxwood where about 3½ miles is fully navigable. Trips include facilities for the elderly and disabled. Run by highly skilled enthusiastic volunteers, passenger numbers have grown over the years with thousands of people enjoying the restored part of the canal, which will increase with each revived section. 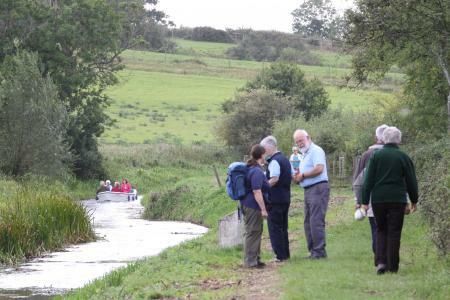 The Wey & Arun Canal Trust's work also provides plenty of volunteering opportunities, helping to protect our environment and heritage.